A 23-year-old man has been arrested in connection with the bomb attack which killed 22 people, including children, and injured 59 more in Manchester. A spokesman for Greater Manchester Police said a man has also been arrested at the Arndale Centre, though he added this is not currently believed to connected to last night’s attacks. Nineteen killed in Manchester explosion. The arrest was announced just moments after Prime Minister Theresa May denounced the “appalling sickening cowardice” of the lone suicide bomber who detonated a homemade device in the foyer of the Manchester Arena just as thousands of young people were leaving a concert by US pop star Ariana Grande. Speaking outside Downing Street after chairing a meeting of the Government’s Cobra emergency committee, Mrs May said that police and security services believed they knew the identify of the bomber, who died alongside his victims. She said that he had chosen the time and place of his attack deliberately to cause “maximum carnage and to kill and injure indiscriminately”. Speaking earlier today, Greater Manchester Police chief constable Ian Hopkins said: “This has been the most horrific incident we have had to face in Greater Manchester and one that we all hoped we would never see. Mr Hopkins said investigators believed the attack was conducted by one man who died at the scene, although detectives are working to establish if he “was acting alone or as part of a network”. Police were called to reports of an explosion at the Manchester Arena at 10.33pm, shortly after US singer Ariana Grande had finished her performance. Victims described being thrown by the blast that scattered nuts and bolts across the floor. More than 240 calls were made to the emergency services, with responders including 60 ambulances flooding the area. 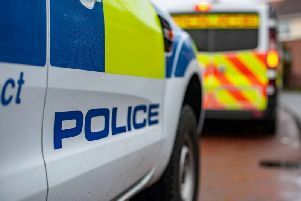 More than 400 police officers were deployed as part of the operation, with a visible presence remaining on the streets of Manchester on Tuesday. The injured are being treated at hospitals across Greater Manchester, and a hotline has been set up for those with concerns over loved ones who remain unaccounted for. Police have appealed for concert-goers and witnesses to provide them with any footage they have from the scene if they believe it can assist the probe. :: Police said 22 people were killed and 59 injured people are being treated at eight hospitals across Greater Manchester. :: The attacker died at the arena after detonating an improvised explosive device. :: The investigation is “complex and wide ranging”, police said, as they urged people not to speculate on who the attacker was. :: Police are looking at whether the killer acted alone or was part of a network. :: A cordon remains in place around the arena and nearby Manchester Victoria Station, which was evacuated during the incident and remains closed. :: It is the worst terrorist attack in the UK since 52 innocent people were killed in the 7/7 London bombings in 2005. The Prime Minister has condemned the “appalling” incident and General Election campaigning has been suspended. Downing Street said a meeting of the Government’s emergency Cobra committee is expected to take place on Tuesday morning chaired by Theresa May. Grande said she had been left “broken” by the events. White House press secretary Sean Spicer said President Donald Trump, who is currently on a visit to Israel, is being kept updated on the situation. Gary Walker, from Leeds, was with his wife in the foyer waiting to pick up his two daughters who were at the concert. Mr Walker told BBC Radio 5 Live he was around three metres from the explosion and was “surprised I got away so lightly”. He said the blast was by the foyer door, next to the merchandise, and that glass and metal nuts were left on the floor. His daughters Abigail and Sophie contacted their parents by mobile phone, a moment Mr Walker described as “fantastic news”. One fan, Majid Khan, 22, described the explosion and ensuing panic. “A huge bomb-like bang went off that hugely panicked everyone and we were all trying to flee the arena,” he said. Oliver Jones, 17, who attended with his 19-year-old sister, said: “The bang echoed around the foyer of the arena and people started to run. Andy Burnham, the Greater Manchester metro mayor, said the attack was an “evil act”. Speaking on Tuesday morning the former Labour MP said: “It is hard to believe what has happened here in the last few hours, and to put into words the shock, anger, and hurt that we feel today. “These were children, young people and their families that those responsible chose to terrorise and kill. :: Anyone with concerns over loved ones can contact 0161 856 9400 or 0161 856 9900 for assistance. :: The anti-terrorist hotline is 0800 789321. Anyone with urgent concerns should contact 999.